A minor error here: in fact, only the first of the articles in the series was entitled “Errors of Fundamentalist Science.” When it appeared, in February 1928, it was billed as the first of three articles, and it was duly followed by “Genesis and Geology” in March 1928 and “The Basic Fallacy of Evolution” in April 1928. At least four further articles from Whitney eventually followed in King’s Business: “The Biological Failure of Evolution” in October 1928; “How Old is the Earth?” in May 1929; “History Versus Evolution” in October 1929; and “The Problem of Early Man” in June 1930. Not long after his series of articles in King’s Business, Whitney, with Price, started the Religion and Science Organization, which Numbers describes as “apparently the first antievolution organization in America aimed at resolving scientific and hermeneutical problems rather than restricting the teaching of evolution.” It was a big tent in some ways: the Catholic George Barry O’Toole was considered as a prospective member of its panel of officers, where he would have joined Adventists like Price and Harold W. Clark and Lutherans like Byron C. Nelson and Theodore Graebner. But it unequivocally repudiated the Day-Age and Pre-Adamic Ruin interpretations of the Bible and the fossil record. According to Numbers, Whitney’s “basic objective in founding the RSA was to convert fundamentalists to flood geology” (emphasis in original). 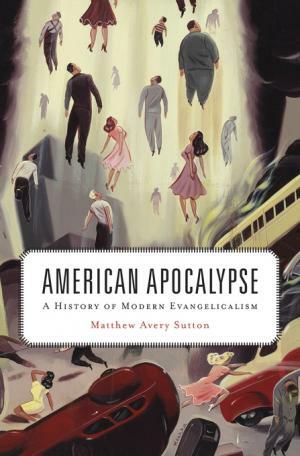 To my disappointment, if understandably in light of his overall approach to the history of American evangelicalism, Sutton never returns to the history of the antievolution movement in American Apocalypse. If he had, he might have observed that, with the rise of young-earth creationism in the 1960s and the subsequent emergence of Answers in Genesis as its most visible exponent in the 1990s, Whitney’s ambitions were largely realized. (He is not mentioned on the Answers in Genesis website, but the Institute for Creation Research’s Henry M. Morris, in Defending the Faith , at least acknowledged Whitney—not Price—as offering “apparently the first modern defense of a modern creation.”) For Whitney’s views on evolution, at least in broad outline, are now standard fare among a significant sector of American evangelicals.